A few recent gigs in the Twin Towns not only keep the jazz flame alive, but remind us that one of the genre’s historically significant artifacts—gathering and reinterpreting sounds—is its insurance of a vibrant future. 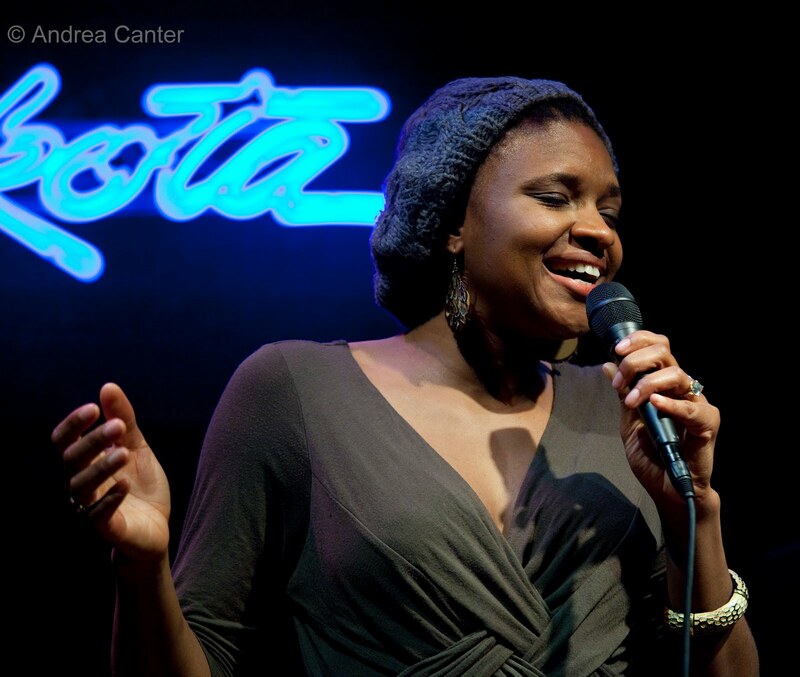 Some would not define Lizz Wright as a “jazz singer” despite her use of improvisation and roots in the blues. Hers is a voice with no boundaries, deep and soulful, with stunning intonation. Her respect for lyrics and the underlying story came through on every note at the Dakota last week (2/23), be it a country ballad like “Hey Man,” a gospel hymn like “Walk With Me, Lord” or the folk/rock Neil Simon classic, “Old Man.” Take her background in gospel, jazz and blues, throw in some R&B and Soul vibes, a penchant for songwriting as well as song performing, and at a mere 30 years, you have a talent with assured longevity and a wide open universe for continued innovation. Wright joins Kurt Elling at Orchestra Hall next season (February 2012), in what might at first glance seem an odd pairing, but all signs point to fascinating partnership. Speaking of Orchestra Hall and partnerships, I would have to list the recent Branford Marsalis/Terence Blanchard concert (2/27) as one of the top jazz performances I’ve heard in a hall that too often mangles chamber jazz. Each band brought its own sound crew and tamed the space. (Which meant, not only could we hear every nuance of the music, we could also too clearly hear the drunk in the upper balcony shouting his ill-timed approval throughout the evening.) Marsalis (on tenor and soprano) and Blanchard (on trumpet) are not only consummate performers and composers, but skillful bandleaders who find the ensemble talents that propel their music to the heights of modern jazz. 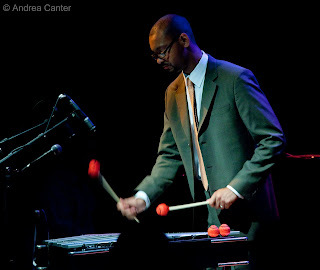 Playing the first set, the Marsalis Quartet (with pianist Joey Caldarazzo, bassist Eric Revis, and relative newcomer, 20-year-old drummer Justin Faulkner) offered compositions too new to have titles, like Caldarazzo’s abstract, octave- spanning opener and Marsalis’s own folkloric ballad with his lyrical soprano in full bloom. Faulkner exploded through Monk’s “52nd Street Themes” while the set closed with Blanchard joining in, dueling Marsalis on the high-energy “Return of the Jitney Man” by Branford’s former drummer, Jeff “Tain” Watts. There was no let-down after intermission, with Blanchard’s Quintet running through largely original compositions from the Katrina-inspired Tale of God’s Will and most recent Choices. Blanchard surrounds himself with top young players, Cuban rising star Fabian Almazan on piano, 19-year-old Joshua Crumbly on bass, under-the-radar titan Brice Winston on tenor sax, and one of his generation’s most sizzling drummers, Kendrick Scott. Two-sided conversations were prevalent, often a debate between Blanchard and Scott; Winston had significant air time, reaching the levels of the most lauded saxophonists on today’s scene; Scott has the tactics to rival any contemporary drummer and proved able to switch gears in a millisecond. The finale, Derrick Hodge’s “New World,” featured the much-anticipated Blanchard/Marsalis pairing that became a three-way, crowd-igniting hornfest. Many in the audience (including Dakota owner Lowell Pickett) made the short walk down the Mall to the Dakota Jazz Club for the late set with youngest Marsalis, Jason, and his vibes quartet, settling in for two nights. A thoughtful composer with a romantic approach to the vibraphone, the music was almost too mellow after the volcanic activity at Orchestra Hall. But it was a beautiful recession.